Holt McCallany stars in David Fincher’s ‘MINDHUNTER’ Rated No. 1 on Netflix U.S.A. Netflix’s serial drama has become streaming giant’s new must-binge series. ….View trailer here…. This marks a second series starring role for McCallany, following his well received performance on FX’s boxing drama ‘Lights Out’, and a reunion with Fincher, his director in Alien3 and Fight Club. Holt will shortly be commencing shooting Series 2 of Mindhunter. 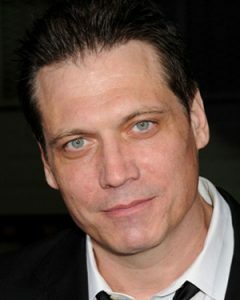 Holt McCallany stars in ‘MINDHUNTER’ rated No.1 on Netflix U.S.A.
Shakedown Roadblock Officer J.Boyce Harman Jr.